Two new images suggest Motorola is working on an upgraded Moto G6 Plus variant. The current device, which launched last month alongside the regular Moto G6 and budget G6 Play, ships with Qualcomm’s Snapdragon 630, something that contradicted previous rumors of a Snapdragon 660. According to new photos, however, it appears there may have been some truth behind the leaks. As can be seen in the live images, the device is clearly listed as sporting Qualcomm’s Snapdragon 660 on the inside which should provide significant improvements over the Snapdragon 630 included inside the regular G6 Plus. After all, the new octa-core processor will offer improved speeds and should be coupled with an improved GPU. Furthermore, the new chip also supports faster memory speeds. Speaking of which, the smartphone will include 6GB of RAM accompanied by 64GB of internal storage. However, it’s worth noting that a variant with 128GB of storage will most probably be offered to consumers. Apart from the improved performance, the rest of the spec sheet is expected remain the same. This means a 5.9-inch, 18:9 display will be present up front, with a front-facing 8-megapixel selfie sensor sitting above the panel. Over on the rear, a dual-camera setup that includes a main 12-megapixel lens and a secondary 5-megapixel offering will be present. Other features include Android 8.1 Oreo and a 3,200mAh battery pack. 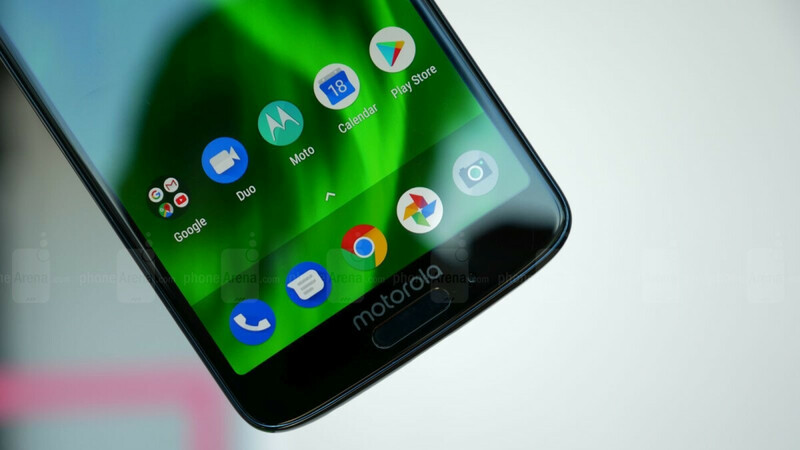 Motorola is yet to officially confirm any plans for an upgraded Moto G6 Plus, but considering the Chicago-based brand recently teased the unveiling of the Moto Z3 Play on June 6 in Brazil, it’s possible that the improved Moto G6 Plus will also make an appearance at the event. Moto Z3 play should have the 660. G6 plus should have the 636. I second this. The problem is the pricing. The g6 Plus is now €300 so will this push the budget g series to €400. Idk what they are thinking. I'm watching the midrange and it's meh. I'll take an LG g6 or s8 for a similar price.